Inspiring Characters: Kai Ichinosei – I'd Rather Be Geeking! The series starts with Kai as a little boy. He’s found this old piano in the forest he lives in, but it’s broken. But surprise! That doesn’t matter to him, because he can actually play the thing. No one else can, just him. 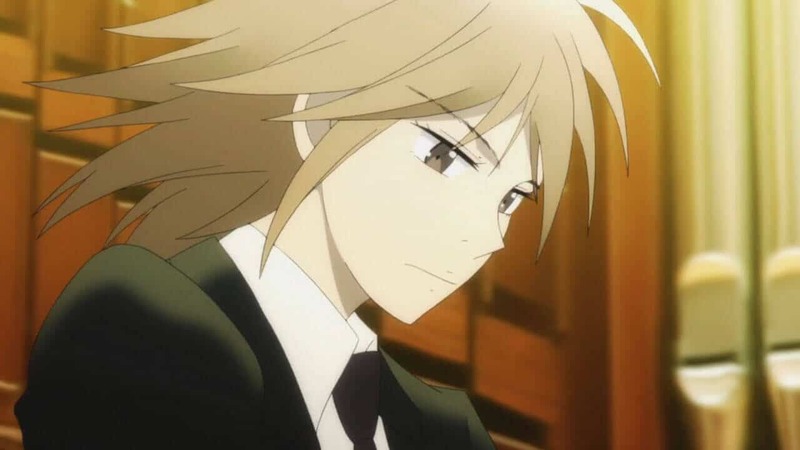 One day at school a new kid, Shuhei Amamiya, comes, and his father happens to be a famous pianist. Shuhei finds that Kai is great at the piano. Like, REALLY great. Kai can’t even read music, he just hears a song, memorizes it, then plays it. What Kai doesn’t realize is that the school’s music teacher is the world famous pianist, Sosuke Ajino. Ajino is actually hiding from the world at the moment. You see, he was in a fatal car accident that killed his fiance and destroyed his left arm. He was never able to play the same ever again, and that hurt. We find that the piano in the forest is actually his. He had thrown it out after the crash. One night, Shuhei tells Ajino that Kai can play the broken piano, so he goes to see for himself. When he sees that Shuhei was telling the truth, he takes interest in teaching Kai. 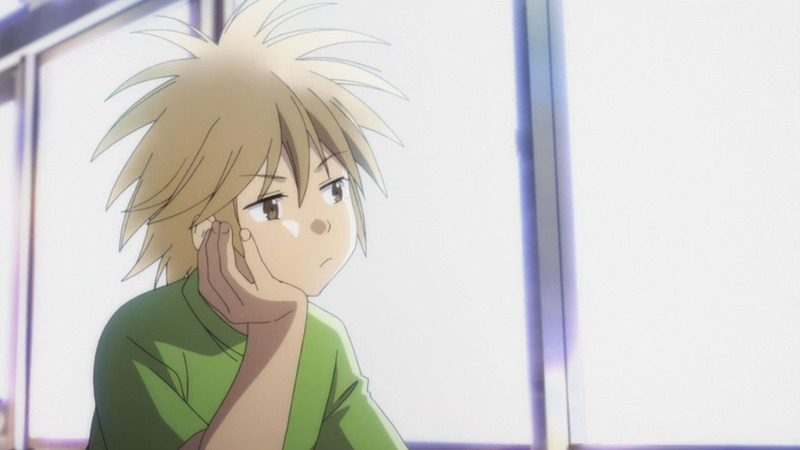 When Kai gets put into a student competition, Shuhei starts to get jealous of his abilities. The sad part about this is that Kai and Shuhei are pretty good friends. Shuhei plays his best, and actually wins the whole competition, but is still not satisfied. Oh yeah, and Kai was eliminated after the first round. Why? Kai played beautifully, but Ajino had taught his to do something that the judges didn’t like; play his own piano. He did not play in the style that was on the music. That, and the fact that he broke the dress code. The next time we see Kai he’s a young man. He’s in a super fancy music school now, but he’s taking a few jobs here and there too. He lives in this broken down, abandoned club, but he’s happy. In fact, he’s starting to teach a little boy piano. One day Shuhei comes to visit, and he notices that Kai writes music on the walls and floors of the club. I mean, the place is COVERED in music and notes (pun totally intended). Shuhei is just as jealous as ever. Then comes the Poland competition. We meet a few new people here, my favorites being Lech and Adamski. Even though Kai gets more and more nervous, he makes it to the final round, head to head with Shuhei. The season ends with his performance, and we have yet to see who wins. What Makes Kai So Inspiring? Kai worked SO HARD to get to where he is at the end of the series. He starts out as a poor boy who lives in downtown Japan with his single mother in the forest. He literally taught himself to play piano and can play things it would take forever for the rest of them. Then at the end of the season, he’s in the top piano competition in the entire world, where people from all counties come to play. The competition is ruthless, but Kai is persistent. In college, he earned money by working at a bar and as a street musician, and he lived in this run-down building. Kai is someone who actually chased his dreams instead of just thinking about them, and he wasn’t afraid to work hard to do it. That is what makes him an inspiring character. Not only that, but he’s kind and friendly, and he doesn’t let bad things or his mistakes get him down. When he gets knocked down, he gets back up and only tries harder. He’s dedicated, disciplined, and he encourages others to do their best. He’s humble to boot. And even though Shuhei treats him like a rival, he still sees him as his best friend. I don’t know about you, but I want to be someone like that. In my opinion, Kai’s greatest moment is his performance in the final episode of season one. As he played in front of the judges and other people in the crowd, he remembers back on his childhood and how hard it was to get there on that stage. It’s a beautiful episode, and Kai plays like no one else. Like, I had tears in my eyes, no joke. – The name Kai means “ocean”, which is the place his mother has always wanted to visit, but never could. – Kai’s birthday falls on August 1,. – At the beginning of the season, Kai is eleven years old. At the end, he is around seventeen. I’ve been playing piano for almost eleven years now, and every time I watch this show it inspires me to work hard at getting better and better. In fact, Kai inspired me to think about getting into the Poland competition one day! Are you inspired by Kai? What is your favorite Kai moment? Let me know in the comments below! Season two of Forest of Piano will release on Netflix in the US sometime in the Summer.